Had a fantastic time at Spratton folk festival the other week. Despite being delayed for 4 hours on the M1 and getting to the venue 30 mins before I was due to play! Managed to fill the tent with fans, sold CDs and had some lovely comments about my voice and songs. Enjoyed the workshop on the campsite the next morning with some lovely people from a folk club near Farnham. now focusing on recording the next CD. Sessions booked over the next few weeks. It'll be a stripped back affair aimed to convince people about the quality of my one man act! Also though a couple of smouldering masterpieces from a collaboration with composer extrodonaire Pete Readman. Enjoy the summer! Catch Andy next weekend at Spratton folk festival. He'll be playing the 2nd stage on Friday 13th between 8pm and 8.30pm. He'll also be performing at the campsite on Saturday and giving a workshop between 11am and 12 (noon). Andy's cult video 'our gang' is now available at www.myspace.com/andysmythe Please check it out and spread the word! 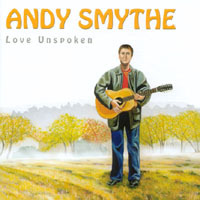 Please check out the new songs 'control freak' and 'coogee bay acoustic' on my myspace page www.myspace/andysmythe. Unreleased gems that I'm sure you'll love! An exclusive chance to own these tracks via myspace. if you like what you hear head to itunes and download my two albums. Also written a new blog about 'don't look back' please feel free to comment! Andy's really enjoyed his gigs in recent weeks and after rocking at Croydon Folk and Blues clubthis weekend he's been invited back to play the 'Strings for Cuba' charity night this Sunday April 1st. The night kicks off at 8pm. Andy's first on at 8.15pm and is followed by some great bands from around the world. Come and support this just cause to help musicians in Cuba beat the US trade embargo and get strings for their guitars! I'm appearing with Les elvin (guitar+bass) at Orpington Folk on Friday Feb 23rd and at the Windsor Castle Pub in Marylebone on Sunday Feb 25th. Both gigs will be great fun! Anybody assertive, with great connections on the folk scene, and an effervescent bubbly personality! If so Andy would love to hear from you. I need somebody to help me get gigs and push my recordings to record companies and publishers. The sky's the limit! His first song is called ‘Whisky Priest’. This is one of Andy’s oldest songs and one of my own favourites. He sings with his usual song and haunting voice which vibrates around the Fab Club room. This fella’ is so talented that he plays the harmonica as well. Fabulous! His second song ‘Half me, half you’ is a new one that I’ve not heard before. A very catchy song with a good joining chorus, written I feel not in his usual style, and it makes a great change! He now plays yet another new song about a Scottish loch inspired from a school trip. Another great ballad played superbly on the piano. Next is a cover version of the Woody Guthrey song ‘This land’. As Andy play’s he has the audience singing and tapping their feet straight away. Marvellous! Another new Smythe song ‘We love our children too’ all about the Israeli and Lebanon conflict. He sings and strums this with conviction and feeling. Andy finishes with a piano ballad called ‘Brothers’, one which I’ve heard many times before and still love. I look forward to the next half hour of Andy and his wonderful voice. Andy Smythe returns to the stage. Hoooooorah!!!! If it’s any thing like the first half then the clubs in for another superb treat! He starts with a piano foot tapping number called ‘ and you’ve guessed it…it’s self-penned. ‘Garden of sweet England’ requested by Claudine and once again sung beautifully. Back to the guitar…he tells a very funny story about the time when he was stuck with two drop dead gorgeous ladies in New Mexico. Oooh eeeer!!! No nothing like that! Sorry. This leads to another of his songs called the ‘Rio Grande’. A Leonard Cohen song follows ‘Hallelujah’ sung…..oh for love of music what can I possibly say that hasn’t been said already? He’s superb, great fantastic, marvellous, talented, stupendous, an unbelievably good song writer and performer! And if you’re looking this up on the net and have never been to Fab Club before you’ve missed a real treat! ‘Sap and earth’ is a very new Andy Smythe song. A great one destined to be a favourite with his fans. ‘Changing Seasons’ one of Andy’s older songs and a great catchy tune. In fact I would say this is a must for foot tapers every where! This has been on of Andy’s best performances. More details on calender dates page. See you then! Andy is performing on Saturday 7th October at Tenterden folk festival. Check out the calender dates page for more info! He also has a growing list of folkclubs which he will be headlining in the 2006-7 season. Please see calender dates page. Andy's appearing at no less than 5 festivals this month! First up this weekend it's Pigs Ear fest at Markbeech near Edenbridge on Friday night and Suffolk folk festival at Woodbridge, Suffolk on Sunday. Check out the calender dates! Lovely praise indeed. Thank you! 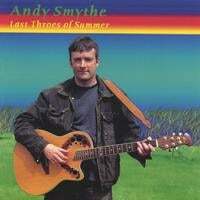 Andy Smythe - first class contemporary music, good writing plus great covers - versatile, entertaining & highly recommended. Can read an audience really well so he's well worth booking if you run a club. Three gigs on April 19th, 24th and 30th. Check out the gigs page! But 'Last Throes of Summer' too!! Please check out this new site and please feel free to add your comments! Andy is playing gigs in Bishop Stortford and Cambridge over the next 2 weeks. Check out the gigs section for more info! I just wanted to let you all know about a brilliant folk site called Woven Wheat Whispers. Copy and paste this link and you can buy high quality downloads (+ all artwork) for all three of my CD releases. It's great value for money. Just £5 per album. Just to confirm that you can now purchase Andy's tunes from itunes and play them on your i pod. Just search for Andy Smythe in their search engine and you're away!